Fab! Still haven't done ours! That remoinds me, I really need to go buy ours. Ooh you've inspired me today! Mmmm pumpkin! Did you make anything with the inside? Need to do ours yet! Oh, the right week for them! No pumpkin carving in our house lol. Did my first one yesterday :) not sure wwhat to do with the insides though, seems such a waste. we've carved ours but kids are now asking for pumpkin soup! Is that the before shot? Will we get the after next week?! We have ours waiting to be carved!! Ready to create a masterpiece! 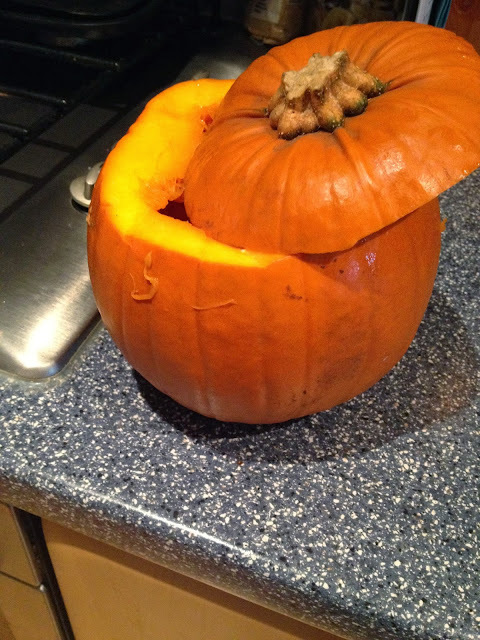 mhh dont feel like pumpkin carving this year specially with our kitchen looking like a building site again! hope the girls and you enjoyed the carving! !